An editable set of commonly-used Implementation Forms to ensure policy compliance, such as a Security Incident Report, Notice of Noncompliance, Request for Policy Exemption, Guest Network Access Request, and more! 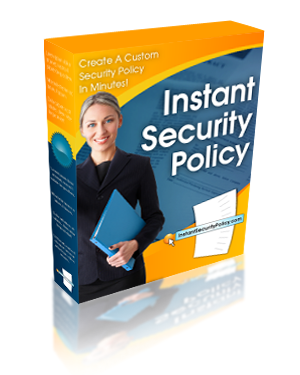 Over 100 pages of custom security policies containing hundreds of policy statements, loaded with information to share with auditors, use as an IT security manual, or set company policy. Click here if you already have a Trial Account. Username * Please choose a username with 3-30 letters or numbers only.